Diamond coated HSS Mini Twist Drill Set, 10pcs. 2 x 0.8mm, 1.0mm, 1.2mm, 1.4mm, 1.5mm. High quality ..
Set Of 10 Diamond Crusted Burrs. 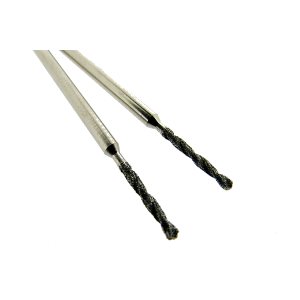 150 grit tips 2.35mm shank Ideal for engraving ..